[Conshohocken, PA] — [8/7/2014] — TechWise Group is pleased to announce availability of the eBook “12 Amazing Tech Jobs and the Women Who Rock Them: Imagine what you can do.” The free eBook, published by Microsoft, provides an inside view of the work life of women in the tech industry today. ebook now available at http://aka.ms/PFIebook. Readers will learn about Lauren Schwartz, CEO, TechWise Group, who’s job description includes, running a business that provides technology support and services to companies that don’t have their own IT department. “My entire career has been spent in technology. I am honored and excited to share my ongoing journey. I hope that the stories in this is ebook illustrate the wide range of career opportunities for anyone who might be considering technology as career as well as the impact these careers can have” said Schwartz. Through the profiles and industry overview pages, “12 Amazing Tech Jobs and the Women Who Rock Them” cuts through the jargon to explain the workings of the technology industry. Though aimed at young women, the 36-page eBook is as relevant for boys as it is for girls—and even for adults who have always been curious about technology companies. Glossaries throughout the text help young people understand common business terms and acronyms. TechWise Group provides comprehensive information technology services to organizations of all sizes and in various stages of growth including long term care, physician practices, financial services, legal, professional services, engineering, non-profits, education and entrepreneurial ventures. Our mission is to enable the organizations we serve to reap business benefits from technology. We can act as the CIO, CTO, help desk, engineer, trusted advisor, or application development resources for our customers. TechWise Group is a Microsoft Certified Partner with expertise Microsoft Office 365, Dynamics CRM Online, SharePoint Online, Windows Azure, Windows Intune, Windows Server, networking, desktop management, business continuity and technology training. TechWise Group is a WBENC Certified Women’s Business Enterprise. 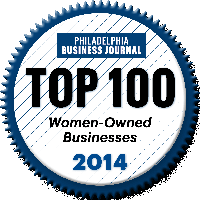 We have been named a Top 25 Technology Consulting Firm and Top 100 Women Owned Business by the Philadelphia Business Journal and Best of the Main Line for 2012. We are headquartered in Conshohocken, Pennsylvania and have a field office in the Harrisburg area. We serve the Greater Pennsylvania and New York Metro areas including Philadelphia, Harrisburg, Main Line, Delaware Valley, Southern New Jersey, and Delaware.